This week’s Featured Job Friday story comes to us from Dalinghaus Construction. 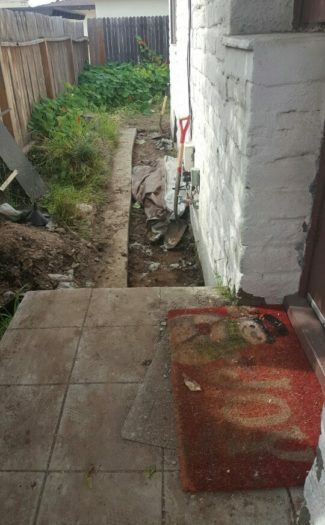 Their story this week shows how great foundation repair contractors paired with great foundation repair products can save someone’s home and a little bit of history as well. Dalinghaus Construction was contacted by a client after he purchased a Spanish Colonial Revival style home near the beach in San Clemente, California. 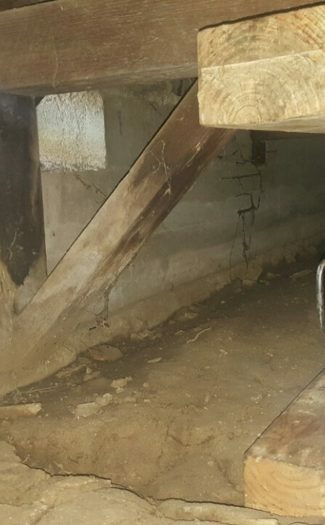 During the home-buying process, a home inspection revealed that there could be foundation problems. 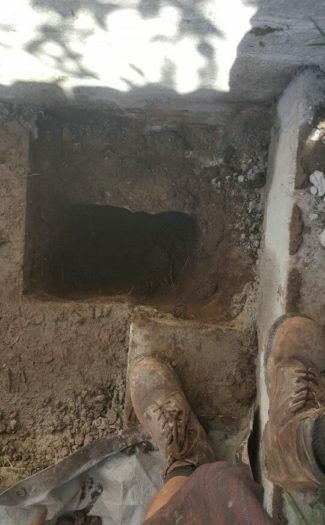 The to-be owner was informed that it was the best idea to have a foundation repair specialist take a look at the property due to visible cracking in the mortar of walls throughout the home. Cracks were found in both the interior and the exterior of the home. 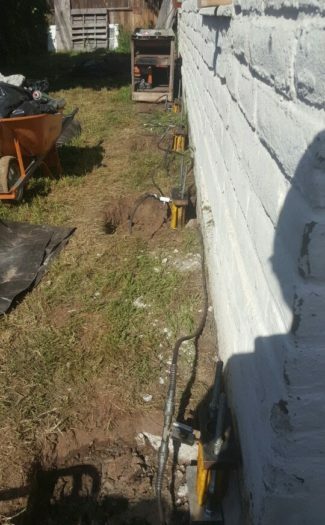 Foundation repair project consultants from Dalinghaus Construction took on the challenge. Using a Ziplevel altimeter they were able to measure for any changes that may have occurred in elevation. 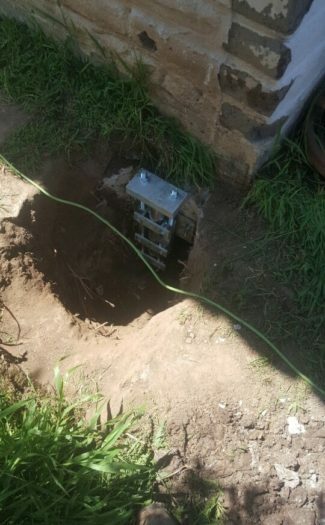 This showed that the southern wall of the home had a drop of 2.2 inches in elevation over a span of about 20 feet and foundation repairs were recommended, and a geotechnical engineer recommended testing the soil beneath the home as well. Push Piers from ECP was proposed as the solution. The Dalinghaus Construction team took three days to complete the project. The first day was spent excavating the area for the push pier installation around the home. 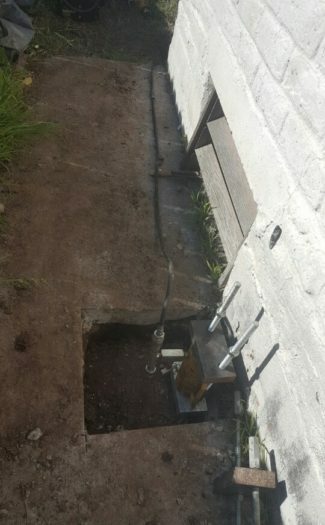 The second day consisted of the installation of the push pier brackets to the foundation footing. Then, using hydraulics, the galvanized steel push piers were driven into the load-bearing strata. On the final day, the home was listed very close to its original position and the weight from the home was transferred to the push piers. The owner can now live in his historical home and not worry about that section of the home settling again. California is an area that there is commonly settlement due to terrain and seismic activity. Dalinghaus Construction has assisted in numerous projects like this one with great results!